Rather than a restrictive diet, a diabetes diet (or MNT) is a healthy-eating plan that's naturally rich in nutrients and low in fat and calories, with an emphasis on fruits, vegetables and whole grains. In fact, a diabetes diet is the best eating plan for most everyone. 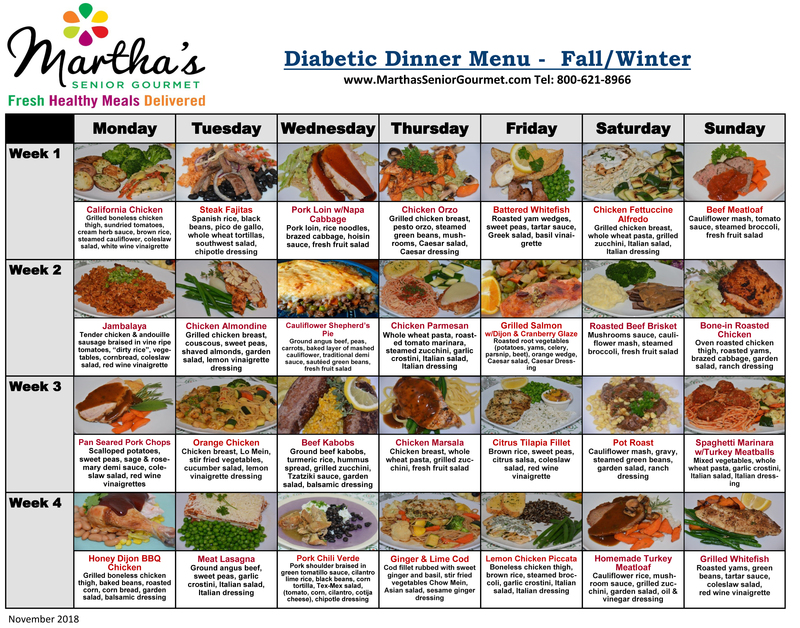 Making healthy food choices is made easy with the Martha’s Senior Gourmet diabetic menu and diabetic meal delivery. Our diabetic diet menu, overseen by a registered dietician, is diverse and flavorful, keeping you interested in the food we serve. The diabetic meal plan includes lean protein, with fish at least once a week, whole grain, like couscous, brown rice and pasta and offers plenty of vegetables, both grilled and raw. 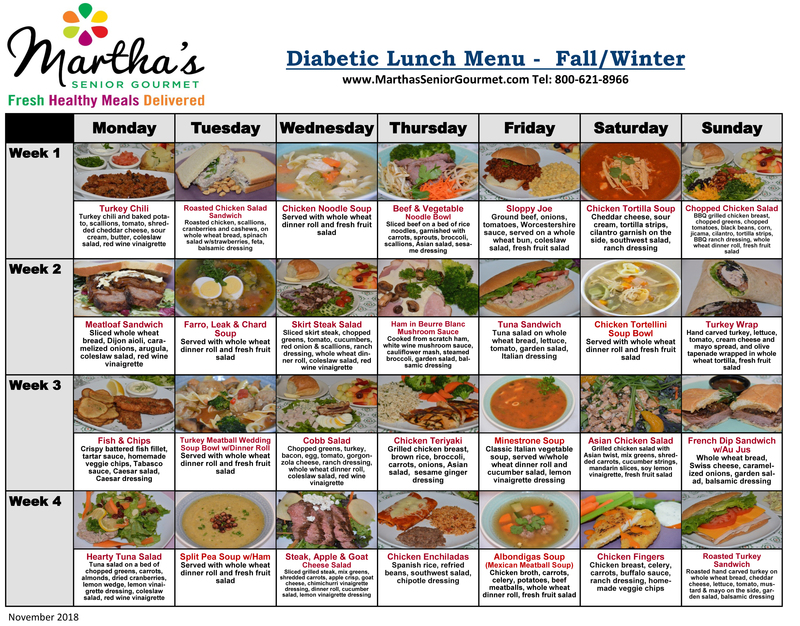 Our diabetic lunch and dinner menus are designed for those who need to control their calories and sugar intake. Our dietitian designed tasty, healthy and diverse meals that will help control your sugar levels without compromising your taste buds. Learn more about getting delicious diabetic meals delivered to your home!